The rugged all-in-one tBOX311-820-FL is certified with an eMark for in-vehicle equipment and it is ISO-7637 certified for vehicle power requirement. In addition, the embedded system supports 80W intelligent vehicle power supply for any in-vehicle environments. 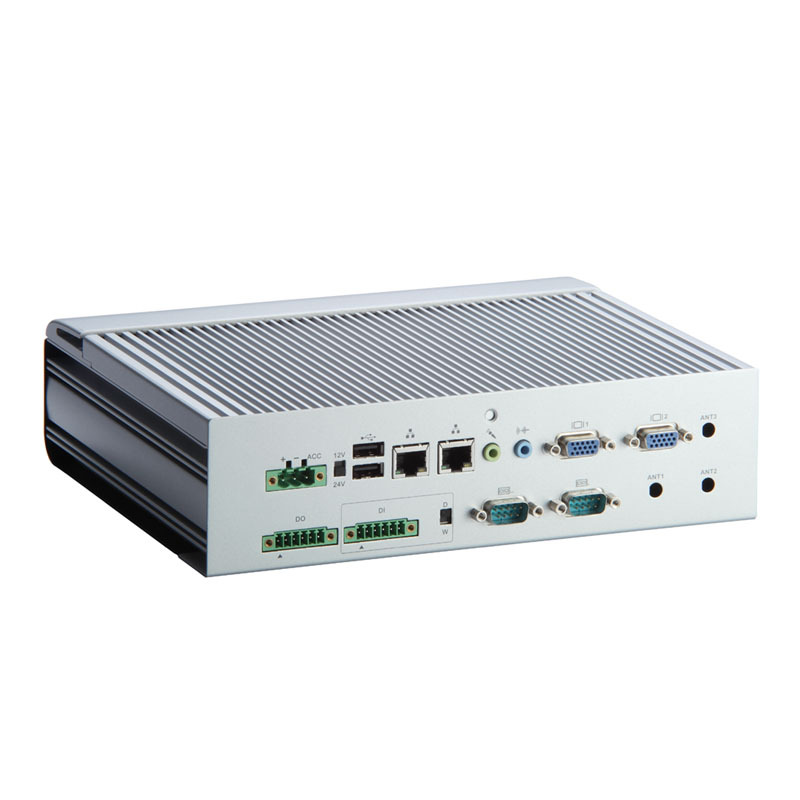 The tBOX311-820-FL offers one isolated CAN bus port for use in vehicles to connect engine control unit, and 1 isolated COM port for various other device connectivity. The swappable and front-accessible CompactFlash socket and HDD drive bay is convenient for easy maintenance and system upgrade. This compact unit adopts an IP40-rated and rugged aluminum & cold-rolled steel enclosure. Its significant anti-vibration design can endure up to 2Grms (with CF & HDD). To withstand extreme working temperatures, its fanless operation design has a unique thermal solution that allows it to operate noiseless at temperatures ranging from -40°C to +65°C.